Chile is home to a fairly large community of German settlers and their descendants. This Chilean cake, whose Germanic origin is reflected in its name, is out of the ordinary. When it is cut, you see three layers of cake enclosing two bands of creamy apple mixture, which can be gooey or custard-like in places, depending on how the batter and fruit have been distributed. It makes a wonderful pudding served while still warm from the oven and is equally delicious when it cools and sets. This cake will keep at cool room temperature for up to four days. possible. 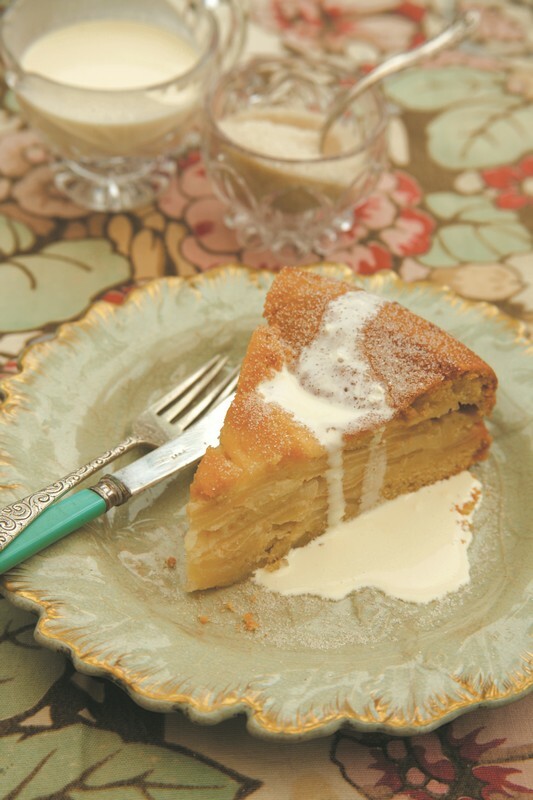 Serve the cake as it is, or with cream, custard or ice cream, as you like.